KALDEWEI, Ahlen, September 2018. 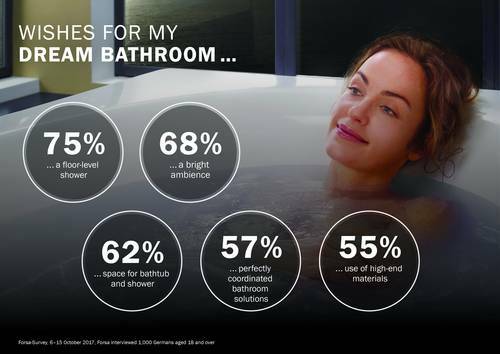 – We all have a different image of what our dream bathroom looks like ideally, most of us would make change the room layout, the bathroom solutions and the overall aesthetics – as revealed by the the Forsa survey, conducted for Kaldewei. At the top of the wish list: 75% of interviewees would like a floor-level shower. 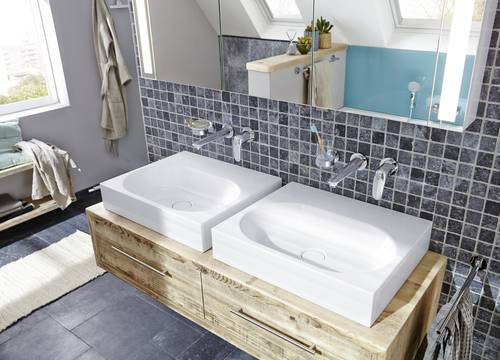 There is also huge demand for a bright, cheerful bathroom, space for a bath and shower, and perfectly coordinated bathroom solutions – ideally made from a high-quality material. 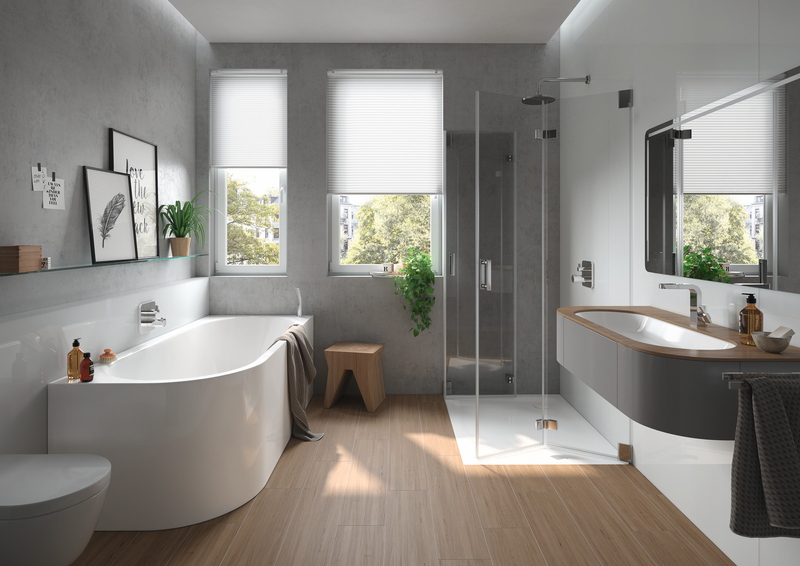 It’s a good time for flexible bathroom solutions: more than 68% of interviewees prefer a bright, cheerful ambience in their bathroom as well as 62% wanting space for both a bath and shower. Given that most bathrooms are small, this presents a challenge to almost half of those surveyed. What the majority of interviewees most disliked was the size of their bathroom. The answer could be flexible bathroom solutions that come in many different shapes and sizes, so that they can be placed anywhere in the room, making optimal use of the available space, be that freestanding or built-in as well as models that combine bathing and showering in one. 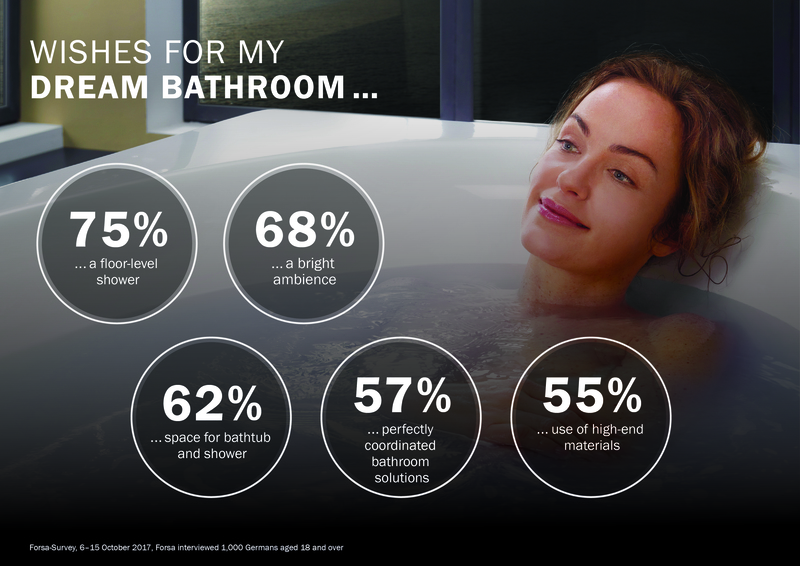 According to the Kaldewei survey, 75% of interviewees desire a floor-level shower, making this the undisputed number one feature of a dream bathroom. Enamelled shower surfaces such as the Kaldewei Conoflat open up the room and create scope for design due to them being flush to the floor. In addition, in smaller bathrooms, light, warm colours and organic lines for shower surface, bathtub and washbasin that create a cosy atmosphere are desirable. The Kaldewei survey reveals that, 55% of interviewees prefer perfectly coordinated bathroom solutions and 55% want high-end materials. Ideally, people want a shower surface, bathtub and washbasin that are aesthetically pleasing, using high-quality materials that perfectly harmonise in terms of designand a single material. This is what Kaldewei calls a “Perfect Match”. In the survey, 33% of interviewees reported problems with limescale and 15% with mould. Hygiene tests have proved that superior bathroom solutions made of Kaldewei steel enamel with their glass-hard, non-porous surfaces are more hygienic and easier to clean than conventional acrylic products or tiled showers. A new representative survey commissioned by Kaldewei reveals which bathroom wishes can be realistically fulfilled: of those surveyed, 75% of interviewees would like a floor-level shower. Other wishes; included a bright, cheerful ambience, space for both a bathtub and shower, and perfectly coordinated bathroom solutions, ideally made from a high-quality material. 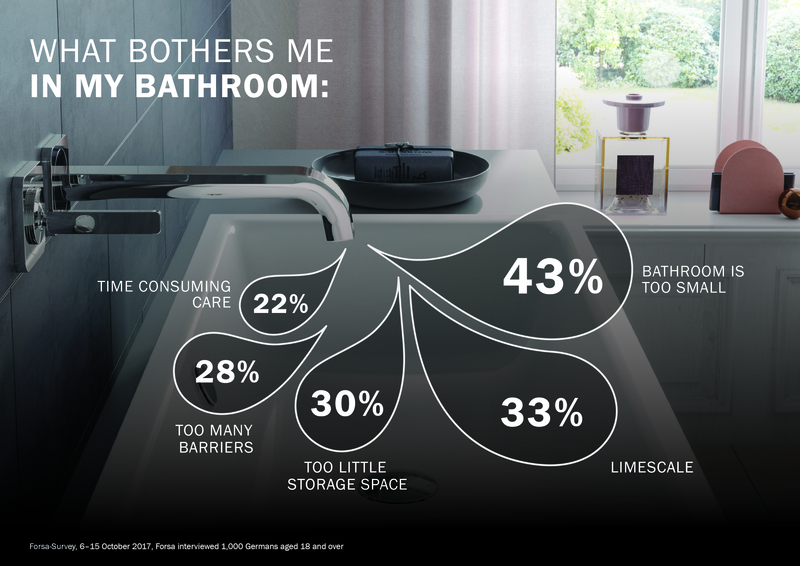 The survey on bathroom dreams versus reality also shows that personal comfort is important with 30% of interviewees wanting, more storage space and 28% wanting fewer barriers. Many interviewees, 33% have problems with limescale and 22% complained that bathroom cleaning requires too much effort. According to the Kaldewei survey, 75% of interviewees want a floor-level shower, making this the undisputed number one feature of a dream bathroom. Enamelled shower surfaces such as the Kaldewei Conoflat open up the room and create scope for design. 30% of interviewees would like more storage space in the bathroom. The Centro washbasin solution easily fulfils this wish with its spacious surround.